This is a round Farmers Electric Cooperative porcelain sign. This particular Farmers Electric Cooperative sign is very colorful. 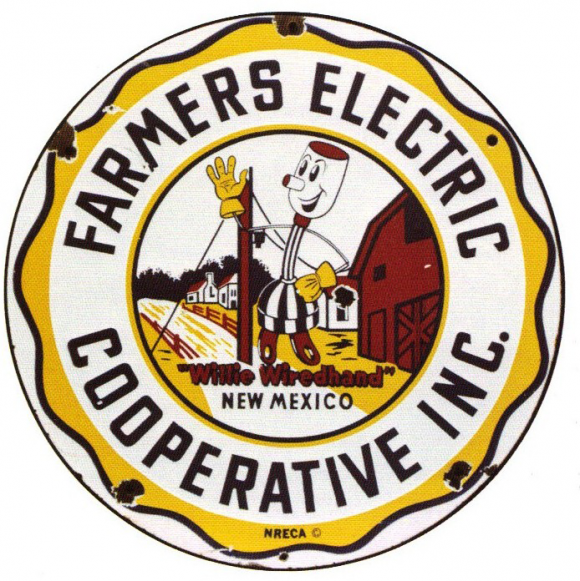 It reads, “Farmers Electric Cooperative Inc., Willie Wiredhand, New Mexico” and features a cartoon plug in front of a row of yellow and maroon farms.